1973: A very friendly meeting on the banks of the Swan River at McCallum Park set the wheels in motion. Mrs Helen Glasby (Rickmay) provided the UK ideas and inspiration. Tony Johnson provided clerical, administrative and guidance. Over the years we had a number of members who displayed strengths in different areas. Rod Morrison was a great social coordinator. Carol Comtesse was our Bulletin Editor and expedited our Incorporation. Guy Nichols was the brains behind Australia's first Bull Terrier handbook 'The Bull Terrier in Western Australia'. Terry and Jan Cheeseman made and donated trophies and club equipment, including our first club trailer. Rex Banwell and Yvonne Hocking led the way in inspiring UK imports and interstate showing. The Club Membership: This is predominantly made up of purists and we place great value on breeding and showing dogs that are successful at Bull Terrier Club Specialities. Some members enjoy showing at All Breeds Shows but the majority place more emphasis on winning under ROM Judges. You can see the rules and regulations for attaining the ROM award by visiting the National Bull Terrier Council (A) website. Bi-Ennial Trophy Shows: (NBTC(A) Website for rules and regulations). Our Club has now hosted this prestigious show 3 times. 1987, 1999 and 2011. In 1987 we initiated billeting interstate members to minimise their expenses. We ran a very successful weekend and on the Monday evening we had approximately 120 people attend an 'evening with the judges'. Juliet Shaw (UK) and Winkie Mackay Smith (USA) both gave talks on the breed and what was happening in their respective countries followed by questions from the Australian breeders. We all learned a lot that night. In 1999 we did a shared weekend with the BT & BTM Association of WA when they hosted the National Bull Terrier Show and we hosted the Trophy Show. Again a very successful weekend with a dinner/dance on the Saturday night. 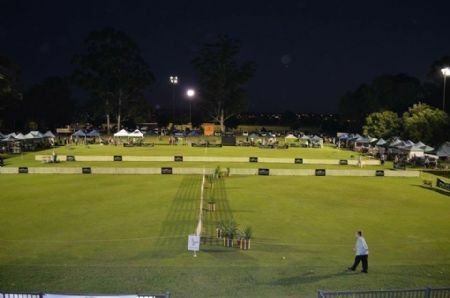 In 2011 we decided to hold the Championship Show and the Trophy Show at Fairbridge Village, Pinjarra. This proved to be very acceptable to everyone who attended. They had their accommodation, dinner dance, social activities and dog shows all at the same venue. National Bull Terrier Council (A): In 1987 our Club had the honour of hosting the inaugural meeting of the NBTC(A) after the Trophy Show. The elected committee being Michael Plane (Chairman), Steve Isaacs (Secretary), Rob, Cook, Brett Martin and James Watkiss attending as state delegates. With the other states still to become members, it was a landmark in the history of our breed. Canine Centre: We feel that W.A. has arguably one of the best dog showing facilities in the world and our early members were very instrumental in fundraising and working to establish and complete the complex.